Like most, January into February seems to be the worst time for my dry skin. It becomes painful, irritated and nothing seems to help. No sweet smelling lotion is rescuing my knuckles and cuticles that's for sure. Lately, I've been giving Zim's Crack Creme a try. I know, silly name. But this stuff means business. These are naturally based products that help moisturize and heal even the driest skin. Daytime Formula | The Zim's Daytime Formula is an easy to use, portable lotion that can be used whenever your skin needs a boost of hydration. I was surprised how quickly it absorbed into my skin while still feeling nourishing and hydrating my skin. It doesn't have a flowery or sweet scent by any means, but when you need relief from dry skin, a scent is probably the last thing on your mind. All you need is a pea sized amount for your hands. A little goes a long way! I like keeping this lotion with me around the house as well as in my purse for on-the-go hydration. Original Liquid Formula | The Zim's Original Liquid Formula is pretty unique in that you can dispense anywhere from a drop to a larger amount depending on the area needing treatment. I used this liquid on my knuckles and all over the backs of my hands. My knuckles had been so dry I could see and feel the dry skin and the backs of my hands would hurt even if I closed them in a fist. Really painful. To use, I just dispensed several drops on the back of my hands and rubbed them together. If you have cracked skin you'll notice a very mild stinging but it goes away quickly. This formula is best for nighttime use as it does remain tacky for a while. Within less than an hour I noticed almost complete relief of my painful dry skin. This liquid not only helped in the short term, but also kept my skin smooth even days later. The cracks healed and there has been absolutely no redness. I went from painful winter skin, to silky summer skin just like that. Amazing! I'm completely shocked how smooth my skin is in the middle of a New England winter. I'll definitely be keeping these products stocked in the winter months from now on! 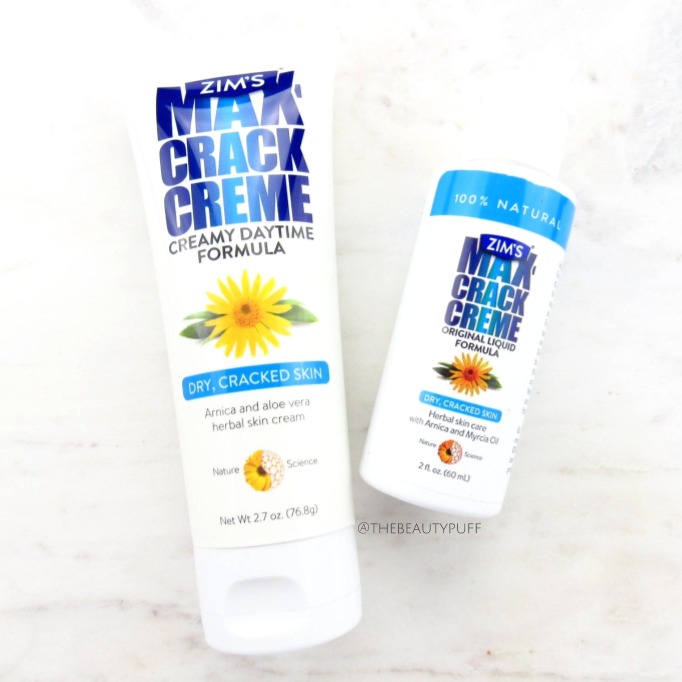 If you're looking for more than just a pretty lotion to treat and heal your dry winter skin, check out Zim's Crack Creme on their website below!